Our HTML5 team has been quite busy and HTML5 builds are progressing nicely. There is a recent change that we hope you will find exciting. We’ve found a way to get HTML5 builds down to around 1 megabyte. Of course the more art and audio assets you add, the more your app will grow in size. We’ve accomplished this by temporarily removing the SQLite3 and socket modules and compressing the engine code. Starting with daily build 2018.3055, these modules have been removed for HTML5 builds. We will bring them back in a future build as optional modules. 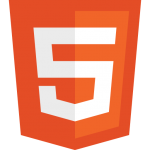 If you haven’t given HTML5 a try, now’s a good time to start experimenting with it. We have even simplified testing. Instead of starting up your own local web server, we do that for you with the use of our Live Server. Simply build your HTML5 app and it will open in your default web browser automatically. As always, while it’s in open beta, please report any issues you run into in our HTML5 forum.